OneWeb satellite constellation aims to provide affordable internet services worldwide. Credit: Airbus. Arianespace launched a batch of six OneWeb satellites in February 2019. Credit: Arianespace. OneWeb satellites will operate at the near-polar LEO at 1,200km altitude. Credit: Airbus. OneWeb is a constellation of 900 small, ultra-high-performance communication satellites intended to provide affordable high-speed internet broadband services. The satellites are being built by OneWeb Satellites, a joint venture between Airbus and OneWeb (formerly WorldVu Satellites) and will operate in the near-polar low-earth orbit (LEO) at 1,200km altitude. 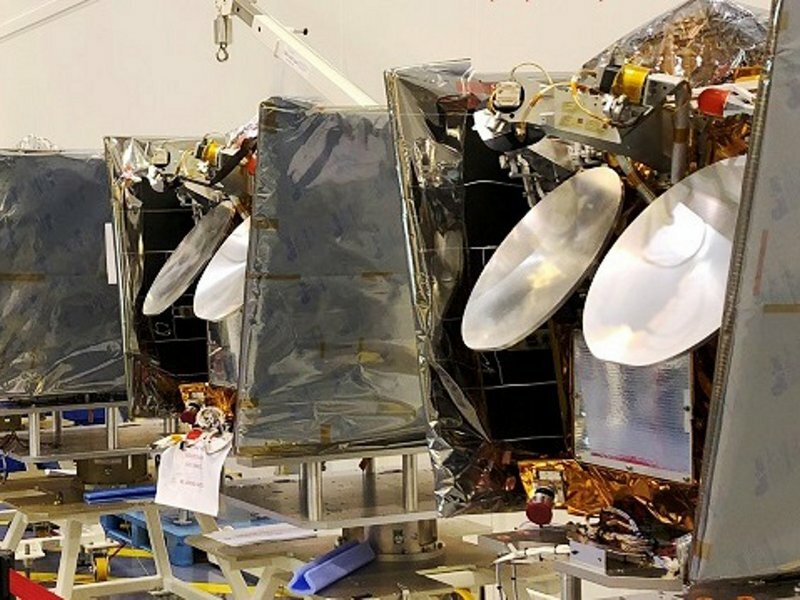 The initial ten satellites are being built at the OneWeb Satellites’ 4,600m² manufacturing facility in Toulouse, France, while mass production takes place at OneWeb’s new facility in Florida. 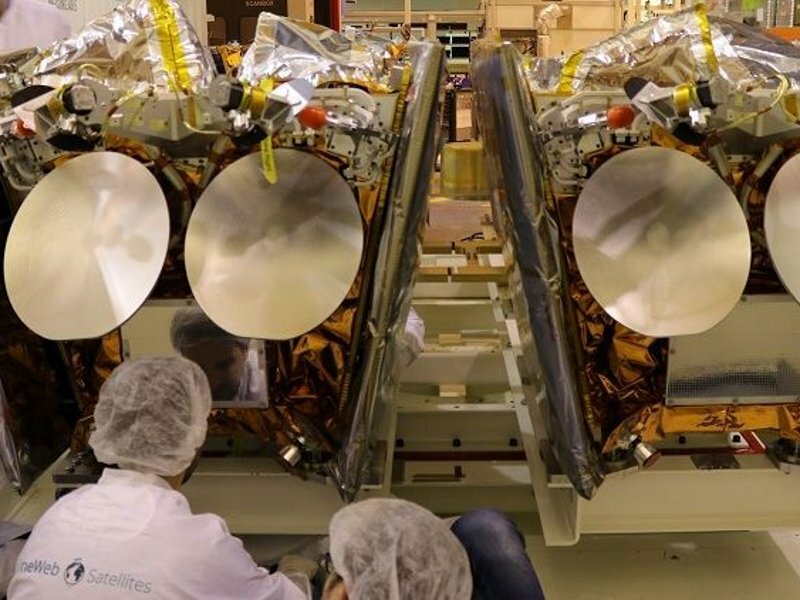 The first batch of six satellites was successfully launched by Arianespace from the Guiana Space Centre spaceport in French Guiana in February 2019. Customer demonstrations are planned to start in 2020, while full operations will commence from 2021. The OneWeb communication satellites weigh approximately 150kg each and have a design life of five years when operating in the low Earth orbit (LEO) and up to seven years when operating at a 500km orbit. Each spacecraft is distinctly wired with fewer electrical connections between the systems. The satellite can carry up to 60kg of payloads in a stowed box, measuring 48cm-long, 52cm-wide, and 52cm-high. It incorporates Xenon hall-effect thruster (HET) electric propulsion device, powered by a Li-ion battery. The OneWeb satellite constellation incorporates up to 3,600 communication antenna subsystems to provide 3G, LTE, 5G, and Wi-Fi services to end users. The satellite’s command and data handling (C&DH) system features a redundant bus with a transfer rate of 125kbps in the SoCAN network and 1Mbps in the SpaceWire network. The satellite’s payload includes essential electrical systems and data handling interfaces such as thermal sensor lines, SoCAN bus, SpaceWire bus 1 Sync line, and power lines from 0.5A to 5A. Other payloads onboard include two TTC omni antennas, two Ku-band antennas, two Ka-band antennas, and a three-axis stabiliser. The spacecraft transmit telemetry using AES-256 encryption through telemetry, tracking, and command (TT&C) up and down links. An optional wideband TT&C link enables the transmission of data at a speed of 1.6Gbps. The payload supports a mission data rate of 28kbps in uplink and 50kbps-480kbps in downlink. Arianespace was contracted by OneWeb in 2015 to launch the first constellation of 650 OneWeb satellites onboard 21 Soyuz launchers through 2020. 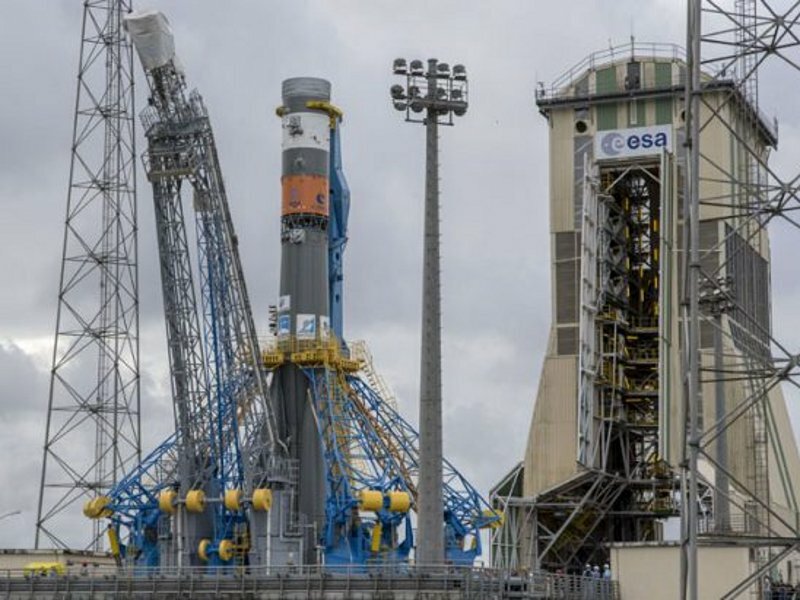 The launches will be performed from three predefined spaceports, which include Kourou in French Guiana, Baikonur in Kazakhstan, and Vostochy in Russia. The first batch of six satellites named OneWeb F6, along with four mass flight simulators, was launched onboard Arianespace’s medium-lift Soyuz Flight VS21 launch vehicle to the LEO with an inclination of 87.9o. OneWeb also executed satellite launch contracts with Blue Origin and Virgin Orbit. OneWeb raised a total of $3.4bn of funding as of March 2019, including the latest $1.25bn funding sourced by investors such as SoftBank Group, Qualcomm Technologies, the Government of Rwanda, and Grupo Salinas. The company also raised $500m in funding from Virgin Group, Coca Cola, Airbus, Intelsat, Hughes Communications, and Bharti Enterprises in mid-2015. Qualcomm Research, the research and development unit of Qualcomm Technologies, was contracted to provide a high-performance wireless air interface, a modern hardware and software reference design for OneWeb user terminals, as well as end-to-end analysis for the internet services provided by OneWeb. The on-board antenna systems are provided by MacDonald, Dettwiler and Associates (MDA), while Sodern is responsible for the supply of star tracker technology. Teledyne Defence was contracted to manufacture communications repeater equipment for OneWeb satellites in June 2016. Hughes Network Systems was awarded a $190m contract by OneWeb to supply ground network systems for the satellite constellation, in November 2017. Expleo was selected to perform tests on the data bus as well as to provide expertise in tests for solar panel and antenna motors. The company also manages assembly integration and testing at the Toulouse facility.